One of the main arguments that opponents of dividend investing make is that Warren Buffett has never paid dividends on Berkshire Hathaway (BRK.B). He has managed to reinvest profits and buy more businesses and shares in publicly traded companies. This compounding of profits has catapulted Berkshire’s Book Value from 16 in 1965 to 114,000 by 2012. So if this worked so well for Berkshire Hathaway shareholders, why don’t all companies simply simply discontinue paying a dividend, and reinvest all of their earnings into the business? While in theory this sounds like an excellent strategy, there are a few issues with it. The first one is that Warren Buffett is an outlier. He is the best investor the world has ever seen, and as a result his skilled allocations of capital have resulted in great amounts of wealth for shareholders. Unfortunately, I cannot think of many other managers today, which are likely to reach his status in a few decades. I know that the Oracle of Omaha is an outlier, because there is only one Buffett, but 106 dividend champions. As a result, I find it much more probable that an investor can identify the next company to boost distributions for 25 years in a row, versus identifying the next Berkshire Hathaway. The second issue is that it is extremely difficult to keep reinvesting money in your business to grow and achieve the same rates of return on any additional money you put to work. Essentially at some stage you enter a point of diminishing returns. If McDonald’s (MCD) or Wal-Mart Stores (WMT) simply doubled the number of locations they had, this would not automatically double sales and profits. In fact, they would probably go bankrupt, as new stores would likely cannibalize sales of existing stores, while certainly doubling the amount of costs. In addition, it would take time to find suitable locations, build the stores, and then attract customers to shop there on a recurring basis. McDonald’s (MCD) almost got in trouble in 2002, because the company was simply focusing on increasing number of stores, without paying attention to same store sales in the US for example. This had worked for the first 40 years in the company’s history, but once there was a store in every major intersection, focusing on improving the customer experience through store renovation and new product introduction has been key in improving same-store profitability. The third issue is that companies cannot simply merge with competitors or buy unrelated businesses in order to grow. Integrating business systems, different products and cultures can be extremely difficult, time consuming and costly. Most acquisitions don’t work and fail to deliver the synergies expected. In addition regulators do not like too much concentration in industries. A prime example was the failed acquisition of T-Mobile by AT&T (T). For a few years, it could have been argued that insurance company AIG was following a strategy similar to Buffett’s at Berkshire. The company had purchased a ton of unrelated to insurance assets, including the telecom company of Bulgaria for example. Unfortunately, it did not work. The fourth issue is that while Berkshire does not like paying a dividend, it does seem to invest in businesses that distribute a large portion of their excess cashflows to the parent, so that Buffett can invest the money for the firm. There are many examples of Buffett’s love for dividends. The first one is See’s Candy, which was described as a great investment that generated high yield on cost despite the low initial and recurring capital requirements of the business. These cashflows were then used to purchase other businesses. Another famous investment by Buffett is his purchase of Coca-Cola (KO) shares in 1988. His company is currently earning a double-digit yield on cost on this investment, and the amount of dividend income is expected to continue its upward trend. This was in particular discussed by Warren in his 2011 letter to shareholders. In addition, Berkshire’s dividend portfolio generates over 1.5 billion in annual dividend income. That does not take into consideration the $300 million it generates from Bank of America preferred stock, nor does it consider the cash distributions from Burlington Northern Railway and the countless other businesses that Berkshire owns. In fact, I have argued that investors, who are inspired by Buffett, should build their own Berkshire Hathaway using dividend paying stocks. Last but not least, book values and stock prices do not always have a one to one relationship. For example, during the 1998 – 2000 period, Buffett was often cited as being out of touch with reality since he didn’t invest in tech stocks. This was the period when red hot technology stocks dominated investor interests, and Buffett was often ridiculed for his avoidance of the sector. As a result, after Berkshire’s stock reached a high in June 1998 of 84,000, it fell all the way to 43,000 in February 2000. The stock didn’t exceed its high until November 2003. Investors who simply held on to the stock, did not realize any return on investment for five long and difficult years, despite the fact that book value per share increased during the same period. In contrast, investors in dividend paying stocks have received positive reinforcement every three months, whenever the dividend checks were deposited in their brokerage accounts. Getting paid to hold shares with improving fundamentals is much easier done than holding non-dividend stocks during turbulent market conditions, hoping that the market would realize the investment’s true potential. In summary, an investment in Berkshire Hathaway (BRK.B) exposes our investor to the whims of Mr. Market. An investment in Dividend Paying Stocks still makes the investor partially vulnerable to the whims of Mr. Market when it comes to stock prices. However, dividends provide a direct link between the company’s operating performance and investors’ return on investment, which are not dependent on the whims of Mr. Market. To paraphrase some of Mr. Buffett’s words, even if they closed the stock market for five years, dividend investors would keep getting their dividend checks on a regular basis. And these checks would be bigger in year five than in year one. Most readers might be aware that I do not automatically reinvest dividends in my taxable brokerage accounts. I usually have distributions accumulate up to a certain amount in cash, and then combined with fresh contributions I tend to purchase stock in companies which I believe to be good buys at the moment. That way, I am able to allocate my cash into the best ideas I can find at the moment. I also do that because I do not want to buy partial shares in many companies regardless of valuation, through the automatic reinvestment of distributions. In addition, I avoid it, because it would be a nightmare to figure out taxable amounts, should I decide to sell the security. Imagine buying 100 shares of a stock like Phillip Morris International (PM), and then receiving the equivalent of one share every 3 months. Try doing this for 10 – 20 years, and now you have something like 40 – 80 individual transactions you need to take into consideration when calculating taxable basis, should you decide to sell. As I have started accumulating funds in my tax-deferred accounts however, I am doing the exact opposite. For example, in my Roth IRA portfolio I started in 2013, I turned on the function to automatically reinvest dividends in the same security. I am using Roth IRA’s in this example because Roth’s have a fixed dollar contribution amount, and therefore this discussion could be relevant to more readers. With $5,500 in annual contributions, the maximum amount of annual dividend income would be somewhere between $165 - $220. I could accumulate the cash for one year, and then purchase a security. Unfortunately, investing such a paltry amount in a locked account such as a Roth IRA would be prohibitively expensive. I have mentioned before that I do not want to spend more than 0.50% on commissions at a time. Even with a $4 commission, this equates to 2% on invested funds. If I accumulate cash from dividends to make a purchase where commissions are less than 0.50% of investment value, I might have to wait for almost four or five years. Therefore, it does not make much sense to accumulate a lot of cash in a portfolio to make one investment, unless of course no adequate investment opportunities are available. The other reason for automatic dividend reinvestment is avoiding pressure. The pressure to select the perfect investment would be much greater, when you can only make one investment per year. I would have much more safety in my reinvested dividends, if I put them in several companies, as opposed to just one. This is because with $200 or so in annual distribution amounts, it would be prohibitively expensive to put distributions in several new ideas, versus reinvesting them back into the companies that paid them in the first place. In addition, I am eligible to make contributions only once an year for my Roth IRA. This is because you can only put $5,500/year, and because of commissions it makes sense to invest the whole amount within two months or so. Thus, I would have to wait for several months, and accumulate cash for the annual contribution before I could make the contribution for the next year. Therefore the paltry initial amount of dividends (the $165- $220) could translate in accumulation of cash that is not helping in my long-term compounding of profits. I would be much better off in automatically reinvesting the dividends into the same security that paid them. When you reinvest dividends immediately after receiving them, you are essentially starting the compounding process. This compounding process is particularly powerful when you reinvest dividends from a company that grows them over time. Your dividend will snowball and grow because of that. Waiting to reinvest for a few years, could prove costly in the long run. The only reason that you might not want to reinvest distributions automatically is if the underlying security is grossly overvalued. For example, if you owned Wal-Mart (WMT) stock in 1999 when it was selling for 30-40 times earnings, it would have been a crime to reinvest distributions back into the stock until the beginning of the Financial Crisis. Once I accumulate the necessary scale however, the strategy could change dramatically. For example, if a Roth IRA generates $5,500 in annual dividend income, it would be essentially self-funding itself from distributions alone. If our dividend investor is also eligible to contribute $5,500 annually to the account, we would be dealing with essentially $11,000 available to invest throughout the year. If we can keep commissions to $4/trade, we can potentially make as many as 13 – 14 transactions/year. Therefore, it might make more sense for this account to accumulate cash from distributions and contributions only after sufficient scale is achieved. Then the money would be used to allocate into an attractively valued security at the time, one investment per month or so. To summarize, it might make more sense from a cost/benefit perspective to automatically reinvest funds in the same security, if you do not have a large portfolio. However, once you reach a certain scale, it might be best to accumulate distributions in cash and then make investments at the best values you can find at the time. Because I am building up my scale in tax-deferred accounts right now, it makes sense to reinvest automatically there. For taxable accounts however, I group dividends received with contributions, and allocate the money in the best opportunities at the moment. In the past month, I purchased several hours of freedom, by adding to my position in the Coca-Cola Company (KO). I believe that Coca-Cola is a core holding for long-term dividend investors. This one time effort of investing in Coca-Cola will result in a lifetime of dividend payments which increase annually above rate of inflation. I like situations where most of the work is in the initial set-up, after which I receive cash in the mail every 90 days, for many decades to come. I view buying shares in quality businesses such as Coca-Cola similar to purchasing time. For example, if you are an average person earning $20/hour, and you purchase 100 shares of Coca-Cola that generate $102 in annual dividend income, you essentially purchased 5 hours of time per year. That is five hours per year you will never have to spend working again. It gets even better - your dividend income raises will likely be much better than inflation and salary increases. Everyone knows about what Coca-Cola does. Not everyone knows that this dividend king has managed to reward shareholders with higher dividends for 51 years in a row. It is one of only 17 companies in the US that has ever done it. Over the past decade the company has managed to raise distributions by 9.80%/year. In comparison, earnings per share have increase by 12.30%/year. The company has managed to reduce the amount of shares outstanding from 4.924 billion in 2003 to 4.498 billion in 2013, through regular share buybacks. Coca-Cola is a business that is not too difficult to understand. The company essentially sells drinks to consumers, and has a distribution network that allows it to reach consumers in as far out places as possible. The company sells several hundred brands of carbonated and non-carbonated drinks, to the tune of 1.8 billion servings/day. Coca-Cola sells high margin syrup concentrate to independent or partially owned bottling plants throughout the world, who then distribute it in their respective areas. Coca-Cola has significant bottling interests in the US, after acquiring operations from Coca Cola Enterprises (CCE) in 2010. The competitive advantages of Coca-Cola include strong brands, and a distribution network that spans across the globe. For example, consumers who like Coca-Cola the drink, are going to keep drinking Coca-Cola and not drink PepsiCo (PEP) or put a generic brand Cola in their mouths. Coca-Cola also spends a lot of money on advertising, in order to create a positive association with the brand and strengthen the company’s image. The consumer loyalty also results in some pricing power, which should bode well for profits in the long-run. It would take a competitor a lot of money to take away the business of a company like Coca-Cola. In order to create the same type of brand loyalty, and distribution system, one not only needs a lot of money, but also a lot of time to earn customer trust. Therefore, I would say there are high barriers to entry. People would always need refreshments, which is why I think that Coca-Cola products would still be relevant to consumers 20 – 30 years from now. I believe that Coca-Cola has able and trustworthy managers. It has a history of constantly executing its strategy in an otherwise very competitive food and beverage industry. Management has been able to diversify product line away from carbonated soft drinks and into things like waters, juices, etc. In addition, management is not focused on empire building for the sake of empire building, but seems to be intelligently allocating capital. They have done some diworsification deals in the past, such as the acquisition of Columbia Pictures in 1982, which was promptly sold a few years later, but by and large they have avoided the stupidity that other corporate managers have succumbed to. I like the fact that management is committed to paying and raising dividends to loyal long-term shareholders. I also like the fact that the shareholder friendly management is buying out weak hands, through consistent share buybacks. This makes each share that I own more valuable over time, particularly because net income and revenues are also growing. In addition, I would think that the firm would sell for more than what it is selling for to a private buyer. In his analysis of Coca-Cola, Charlie Munger estimated a future value of $2 trillion for the company by 2034. When Buffett bought in 1988, he estimated that the value for a private business owner was twice the price he paid. Based on my understanding of global trends, consumption of Coca-Cola products will increase over time, as it is riding the wave of prosperity around the world. There are going to be hundreds of millions of people that will be lifted out of poverty over the next 20 years, and they would all want to engage in the same type of consumerism that most citizens of developed countries enjoy today. The level of consumption in places like China, India and Russia is much lower than that of places like US, which could translate into growth in volumes for a very long time. In fact, my conservative estimate for earnings growth is 7%/year for the next 20 years. If you add in 3% dividend yield, I would say that Coca-Cola can easily generate total returns of 10% for the next 2 decades. This of course is not a slam dunk, but I think this is a very likely scenario. A more bullish scenario would be for earnings per share to grow by 10%/year, using a 7%-8% net income growth, and 2- 3% in growth from share buybacks. Currently, the stock is at the high end of my buy range, as it trades at 20 times estimated 2013 earnings. I managed to make my latest investment at an effective price of $38.20, because I had sold January 2014 puts at a strike 40 a few months ago. The puts were assigned over the weekend. I also have January 2015 puts with the same strike, which I hope to get exercised as well. I did purchase some stock over the past 5- 6 years when prices and valuations were lower, but I focused more on PepsiCo (PEP). Now I am working my way on building out my Coke position also. Everyone knows Coca-Cola is a quality company, which is why it demands a premium price. After all, would you rather buy a business that is likely to deliver 7-10% dividend growth for the next 20 years at 20 times earnings, or would you rather buy a business at 10 -15 times earnings, which has the potential of dividend cuts during one of the next recessions? One of the common misconceptions about dividend growth investing is that investors who follow the strategy are only focused on dividends. While a growing dividend over time is the ultimate goal, it is not the only factor to focus on. For example, I always look for companies which can deliver growth in earnings per share over time. The common characteristic of companies that are able to increase earnings per share include strong brands, some sort of competitive advantages, as well as products or services which have some pricing power. Of course, it doesn't hurt if the company is expected to benefit from a tailwind such as increased exposure to emerging market consumers, increase in number of locations, adding innovative new products to the marketplace, making strategic acquisitions, and increasing margins by focusing on cost containment and productivity. Another common characteristic of those companies also includes consistent share buybacks as well, in an effort to take out the holdings of weak hands. Rising earnings per share are very likely to result in dividend growth, which provides the inflation protection to your passive portfolio income. Because dividends are always positive, and do not fluctuate too much, they are an ideal source of income for retired investors. As a passive investor, my goal is to essentially purchase a stake in a quality business, and sit back while they quietly compound my capital. It is paramount to purchase these companies at attractive valuations, and avoid overpaying for future growth. In general, I am not going to pay over 20 times earnings ever for the best dividend companies such as Coca-Cola (KO) for example. I try to have some margin of safety, in the event that future is much different than the past. For the purposes of this exercise, I have outlined a few compounders which I believe are attractively priced today, and will grow your wealth for several decades. The Coca-Cola Company (KO), a beverage company, engages in the manufacture, marketing, and sale of nonalcoholic beverages worldwide. This dividend king has rewarded shareholders with a dividend increase for 51 years in a row. Over the past decade, earnings per share have increased by 12.30%/year, while dividends were raised by 9.80%/year. Currently, the stock is trading at 20.40 times earnings and yields a very sustainable 2.90%. Based on forward earnings of $2.09/share for 2013, the stock is fairly valued below $41.80/share. Check my analysis of Coca-Cola for more information. Philip Morris International Inc. (PM), through its subsidiaries, manufactures and sells cigarettes and other tobacco products. This dividend machine has rewarded shareholders with a dividend increase since being spun-offs from Altria Group (MO) in 2008. 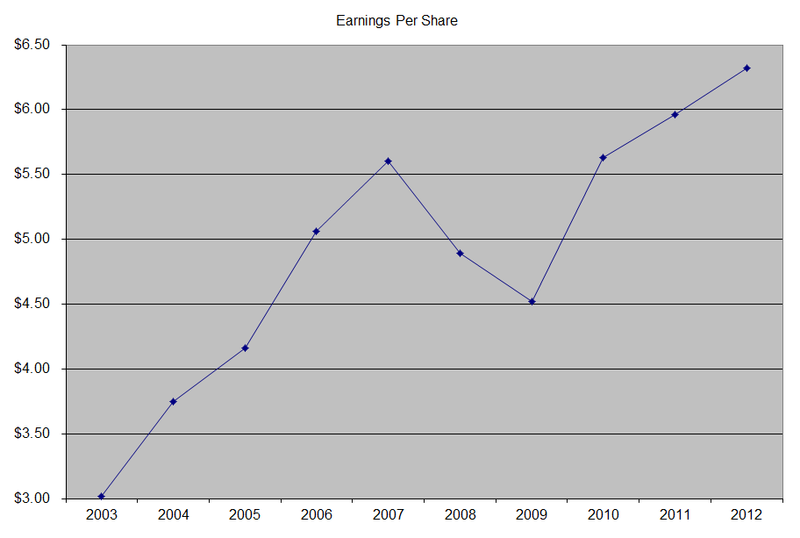 Earnings per share have doubled over the preceding 7 years to $5.17 in 2012. 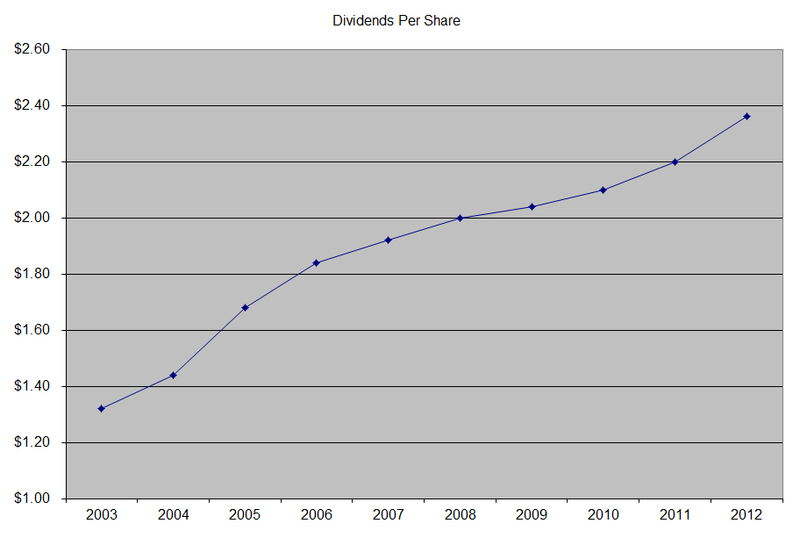 Quarterly dividends increased from 46 cents/share in 2008 to 94 cents/share by the end of 2013. Currently, the stock is trading at 15.80 times earnings and yields a very sustainable 4.50%. I find current valuation to be a steal for this security. Check my analysis of PMI for more information. Chevron Corporation (CVX), through its subsidiaries, engages in petroleum, chemicals, mining, power generation, and energy operations worldwide. This dividend champion has rewarded shareholders with a dividend increase for 26 years in a row. Over the past decade, earnings per share have increased by 12.20%/year, while dividends were raised by 10.60%/year. Currently, the stock is trading at 9.80 times earnings and yields a very sustainable 3.40%. I find current valuation to be attractive. Check my analysis of Chevron for more information. Target Corporation (TGT) operates general merchandise stores in the United States. This dividend champion has rewarded shareholders with a dividend increase for 46 years in a row. Over the past decade, earnings per share have increased by 9%/year, while dividends were raised by 19.80%/year. Currently, the stock is trading at 16.10 times earnings and yields a very sustainable 2.90%. I am planning on dollar cost averaging my way into Target in 2014, by putting equal dollar amounts every month. Check my analysis of Target for more information. McDonald's Corporation (MCD) franchises and operates McDonald's restaurants in the United States, Europe, the Asia/Pacific, the Middle East, Africa, Canada, and Latin America. This dividend champion has rewarded shareholders with a dividend increase for 38 years in a row. Over the past decade, earnings per share have increased by 22.60%/year, while dividends were raised by 22.80%/year. Currently, the stock is trading at 17.10 times earnings and yields a very sustainable 3.40%. I find the current valuation to be attractive. Check my analysis of McDonald's for more information. Exxon Mobil Corporation (XOM) engages in the exploration and production of crude oil and natural gas, and manufacture of petroleum products. This dividend champion has rewarded shareholders with a dividend increase for 31 years in a row. Over the past decade, earnings per share have increased by 19.70%/year, while dividends were raised by 9.60%/year. Currently, the stock is trading at 13 times earnings and yields a very sustainable 2.50%. I would be more excited about ExxonMobil if it dips below $90, as I find current valuation to be a stretch relative to peers due to Buffett's investment in the company. Check my analysis of Exxon Mobil for more information. I did not use a quantitative screen to get to this list. This group of stock is a result of my following 200 – 300 dividend growth companies over the past six years, screening for value every couple of weeks, researching individual companies, and using my judgment to pick those that are compounders. I believe that successful investing is all about protecting your downside first, and avoiding big mistakes, rather than trying to hit homeruns. If you take care of the downside, the upside will take care of itself for the long-term buy and hold investor. I expect to buy and hold dividend compounders for life, although I do monitor my positions regularly. Therefore, if one of my holdings fails to live up to my expectations and does something like cutting the dividend, I would be putting my hard earned money somewhere else. In addition, I try to dollar cost average my way into positions over time, and attempt to build out a diversified portfolio of income producing securities. In an equally weighted portfolio of 40 individual securities, my compounding won’t suffer if one or two companies fail. The dividend kings list includes companies which have managed to raise dividends for at least 50 years in a row. This is a huge accomplishment, since it shows a business model that has endured the destructive forces of several recessions, oil shocks, wars, market crashes and changes in technology. I would strongly encourage every dividend investor to study the success of each of those companies, in an effort to learn about the characteristics that made each company able to afford rewarding shareholders with a raise for over half a century. Nutrition. Over the past decade, the company has managed to raise dividends by 11.40%/year. Currently, shares are overvalued at 26.70 times earnings and yield 2.10%. Check my analysis of Colgate-Palmolive for more information on the company. Nordson Corporation (NDSN) engineers, manufactures, and markets products and systems for dispensing and processing adhesives, coatings, polymers, sealants, biomaterials, fluid management, testing and inspection, surface treatment, and curing. Over the past decade, the company has managed to raise dividends by 8.10%/year. Currently, shares are overvalued at 21 times earnings and yield 1%. Given the fact that the next companies that are close to the 50 year mark have only raised distributions for 48 years in a row, it looks like there won’t be any additions until sometime in 2016. If there is a change in the list prior to that, it would only be because a component cuts or freezes distributions. Again, this list is not a recommendation to buy these shares. Businesses do change over time, as models are subjects to competitive pressures and constant changes in the business environment. I just wanted to post that this site just turned 6 years old today. I made the first post to the site on January 19, 2008. I want to thank everyone who reads it. The purpose of this site was to make me a better investor. I am trying to achieve that by putting down investment thoughts on paper, and document my reasoning why I liked certain companies and strategies. By writing things down, and posting it out there, I am essentially pushing myself to do the actual work before committing money to an investment. By keeping a constant schedule, I am able to mentally maintain my persistence to keep plugging at my dividend investing. Dividend investing is a marathon, not a sprint, which is why it is important to be persistent, and patient all the time. Sometimes you will get low on motivation, which is why it is important to develop systems to get yourself out of it! For me, every time I receive a dividend, I am pretty ecstatic, because that is income I didn't have to work for, generated from an investment I may have made years ago. I used this site to document aspects about dividend growth investing, which I learned through my research. As I keep learning more, I keep writing more. I also try to think ideas out loud, write them down, and see if they make sense. In addition, when I post something in public, I get the opportunity to get feedback, which could uncover ideas I might not have thought out about. Another benefit of having a website is that I have been able to connect with other investors, and learn more about their thought process, and resources they utilize in their stock research. I especially like when someone asks me a question, because by interacting, I might think about something I have not previously thought about. My road to Dividend Growth Investing was a long and arduous one, but once I learned about it, I decided this was the strategy for me. For several years prior to becoming a Dividend Growth Investing, I learned all there was about charting, indicators, momentum investing, stock market history, and about the stories of successful traders. The thing that always made me shun those strategies was the fact that one could correctly identify a company that will grow in value, yet make little money because you get whipsawed when it has a correction. You get whipsawed, because when companies are on their way to greatness, they never go up in a straight fashion. I then decided that buy and hold is my preferred method of investing, since it involves less time, taxation costs and investment costs than active trading. I also wanted to be able to generate cash flow, no matter whether stock market was going up or down. I did put a large portion of my money in CD’s, which provided cash flow. The problem was that the income and principal were losing purchasing power due to inflation. I was looking for a strategy where I would earn more income over time on my capital, while my capital would also compound above rate of inflation as well. As I kept doing research, I uncovered the beauty of Dividend Growth Investing. Once I saw how a company like Johnson & Johnson (JNJ) managed to keep earning more, and pay more dividends over time, I was instantly hooked. It isn’t that difficult to get excited about a company, where a single $1000 investment can generate hundreds of dollars in annual dividends after a certain period of time. In my experience, some people who learn about Dividend Growth Investing get it almost instantly. The rest will never get it, and will provide you with 100s of reasons why it is a bad strategy. While it is helpful to get opposing viewpoints, in order to avoid making stupid mistakes, I have found that arguing with the people who don’t get Dividend Growth Investing is a waste of my time. They probably do mean well, and sometimes have some good points such as don’t fall in love with a stock, focus on earnings growth and not just chasing yield, diversify etc. Of course, everyone has their choice of how to invest money, and I am fine when someone finds something that works for them. I chose Dividend Growth Investing, because it fits perfectly with my long-term goals of generating a rising stream of income from my portfolio. I didn’t want to be at the mercy of the stock market, and risk depleting my nest egg by having to sell during bear markets, in order to meet my living expenses. I also didn’t want to invest in shiny growth companies, with sky-high valuations ( or non-existent earnings), which may or may not survive, and where market sentiment about the stock price results in huge fluctuations. I like the relative stability and predictability of companies like Johnson & Johnson, Coca-Cola, Philip Morris International, which quietly compound earnings, dividends and capital over time. They are there, in plain sight, making patient long-term investors rich, while everyone else is out there searching for the next Microsoft. I like that when I get a dividend it is mine to keep, and cannot be taken away from me. Dividends are more stable than capital gains, which makes dividends an ideal way to live off my nest egg. When dividends increase over time, they also preserve purchasing power of income and principal. Over time, as a company like Coca-Cola earns more, it pays more in dividends, and becomes more valuable to investors. Therefore I get the trifecta of goodiness. I launched the site in early 2008, just as the global financial system was imploding. 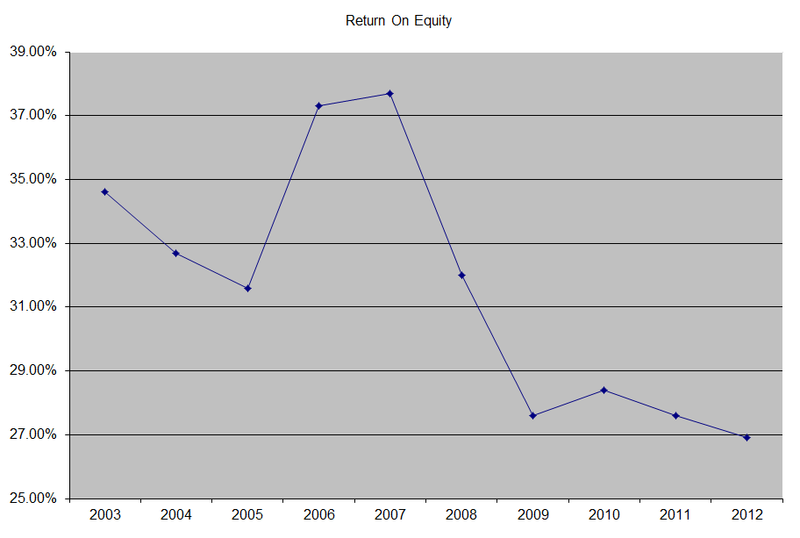 I started off converting most of my assets to Dividend Growth Investing between 2008 and 2009. I would be the first one to admit that the timing of my initial investments was based on pure luck in hindsight. Since then, I am spending my time saving money, looking for bargains, analyzing companies and learning more about dividend investing and quality companies. I am building my dividend machine one dividend paying stock at a time. I also encourage everyone to keep learning as much about stock selection as possible, by studying anything on Ben Graham, Peter Lynch, Warren Buffett, Charlie Munger, Philip Fisher etc. I am a regular person, like everyone else that reads this site, who has a day job, saves some money from it, and then wants to find a place where my money can work for me. I am always low on time. I do not write about myself on the site, because I do not think I am that interesting. I also do not write specifics about my financial situation. I already post my ideas on investing for free, so asking for extra like specific numbers is asking too much if you ask me. I don’t see why an anonymous person would be interested in how much I have, and ask me to post it online, unless their intentions are bad. In addition, anything I write about on this site, includes my thoughts about companies, strategies, is not a recommendation for anyone else to act on. You should do your own research before you make any investment decisions, and not rely on everything that anonymous people post on the internet. Anyway, thanks for reading my site. I have a lot of articles written over the past six years, which I have posted in the archive accessible from here. I hope to be able to share my investment experiences over the next 5- 6 years as well. Back in December, General Electric (GE) raised its quarterly dividend to shareholders by 15.80% to 22 cents/share. This marked the fourth consecutive annual dividend hike for this conglomerate, which is organized in the Oil & gas, Power & Water, Energy Management, Aviation, Healthcare, Transportation, Home & Business Solutions and GE Capital segments. The company has now raised dividends for four years in a row, since the decision to cut distribution in 2009. I was one of the investors of General Electric back in 2009, who sold immediately after the dividend cut was announced. The quarterly dividend was cut from 31 cents/share to 10 cents/share, which was the first reduction in distributions since 1938. Prior to that event, management had continuously reassured investors that the dividend was safe for at least 4 – 5 months. Unfortunately, the credit markets froze in 2008 – 2009, and the company obtained a $3 billion vote of confidence from Warren Buffett. As it also sold stock to other investors, it became apparent that maintaining adequate liquidity might get a higher priority than the dividend. I lost money on General Electric, but this is not the reason I have not bought back the stock. I had found other attractive opportunities for several years that were easier to understand, and I thought had repetitive sales to customers that were more durable in nature. I had purchased my stock at $28.97/share and sold it at $8.63/share. The tax credits on my loss of approximately 30%, add in another $6.10 to the sale price. Later on, I reinvested the proceeds into Abbott Laboratories (ABT) at $45.06/share. If GE had simply kept the dividend, I would have likely kept the stock, but allocated distributions elsewhere. Back when I was building my portfolio in 2008, I held a small position in M&T Bank (MTB), whose dividend was growing prior to that. For the past six years however, the dividend has been flat, yet I kept holding on to the security. I have recovered almost 20% of my purchase price merely from the dividend in 5 years. This fact proves the point that dividends serve as cash rebates on your purchase price. General Electric (GE) has had a pretty terrible timing of its share buyback plan over the past decade. The company spent billions between 2005 and 2007 repurchasing 513 million shares at average prices of $34.99, $35.92 and $38.83/share. By 2009 the company had issued 517 million shares at $22.25/share, in order to obtain liquidity in the wake of the global financial crisis. This does not look like intelligent capital allocation. Of course, the world economy experienced an unprecedented liquidity crunch at the time, which executives could not have reasonably forecasted between 2005 and 2007. Currently, the company is planning on repurchasing up to 700 million shares, and bringing the number of shares outstanding to 9.5 billion. Over the past decade, earnings per share have increased from $1.55 in 2003 to $2.20 in 2007, before falling to $1.03 in 2009. General Electric earned $1.39/share in 2012, and is expected to earn $1.63/share in 2013 followed by an increase to $1.73/share by 2014. 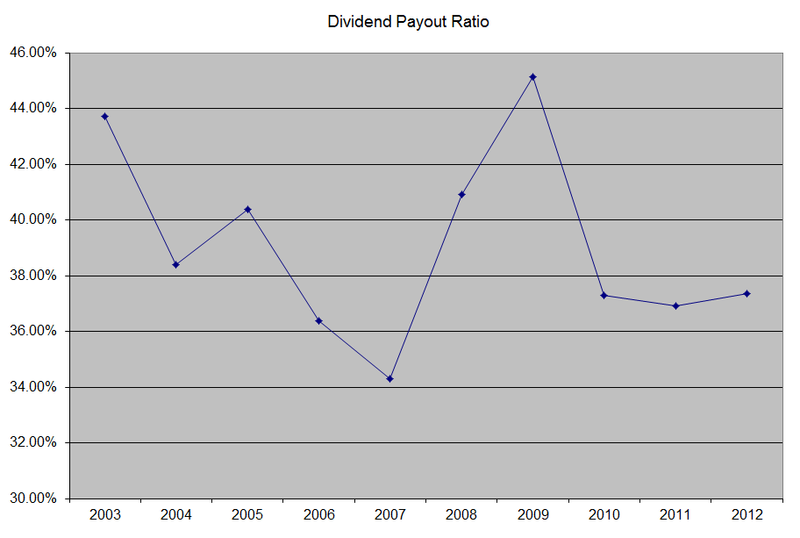 The forward annual dividend of 88 cents/share translates to a roughly 50% payout ratio, which is sustainable. 1) Industrial backlog – The company’s backlog has increased to $229 billion, up almost 14% from prior year levels, as a result of expansion in equipment and service businesses. The company has a large installed base, where it provides its customers the ability to service their equipment. This large installed equipment base creates the opportunity to generate recurring service revenues from maintaining and servicing the equipment, which the client is happy to do, in order to avoid the hassle. 2) Cost cutting initiatives – The company plans to reduce administrative costs by $1.5 in 2013 and by $1 billion in 2014. Overall, General Electric is trying to simplify its business, and reduce the proportion of SG&A to revenues from 15.50% - 16% to 12% in 2016. 3) Share buybacks – The company has managed to reduce the number of shares outstanding from 10.678 billion in 2010, to 10.368 in 2013. The company is also planning to further reduce number of shares outstanding to 9.50 billion by 2015. 4) Strategic acquisitions – The Company is planning to make strategic acquisitions whose size does not exceed $4 billion. However, the dilutive effect of shrinking the Finance operations will more than overshadow the acquisitions portion of GE’s growth strategy. 5) Increasing demand for its core products and services – As the economy keeps expanding, and as the company brings in new solutions to its existing markets, chances are very high that revenues will be increasing over time. In addition, GE expects that the industrial segment should account for 70% of earnings by 2015, from 55% at present levels. 6) Scale – The scale of the company operations makes it more difficult for competitors to match General Electric, given the breadth of business units over which it could spread costs for R&D and expenditures. In addition, business units in different sectors can leverage best practices that are learned in other sectors. The company is reducing is reliance on GE Finance for its long-term growth, which is based on the difficult lessons it learned during the financial crisis. This is going to reduce earnings per share growth by anywhere between 0 to 5%/year for the next few years. I generally do not like to see shrinking in the major profit generators of a business, which account for 1/3 of profits. However, this seems to be offset by growth in other areas such as Industrial for example. General Electric constantly changes the mix of businesses under its umbrella, a strategy pioneered by former CEO Jack Welch. The company tries to be number one or two in a given sector, and is also looking for growth in that segment of the business as well. As a result of this policy, one of the most important factors to evaluate with General Electric is management. They have to be able and honest, otherwise the capital allocation decisions they make could have a pretty bad outcome on your investment. Overall, I believe that Jeff Immelt to be a decent manager, who unfortunately was dealt two bad cards. He took reigns at GE at a time when the stock was very overvalued in 2001, and he also managed to preside over the worst recession since the Great Depression. Of course, the culture at General Electric is another important advantage for the company. If you are a long-term holder, you should realize that you are betting more on management to make the smart decisions on which businesses to keep, which to buy and which to dispose of in an intelligent manner. As a result, the type of business units within General Electric would be different 20 – 30 years from now. Despite the fact that the company has only raised dividends for four years in a row, it looks attractively priced today at 16.50 times estimated 2013 earnings and a nice yield of 2.80%. I would be the first one to admit that it looks like a decent value at current levels. In addition, it also looks like the company is recovering and earnings per share could grow at 4-7%/year for the next five years. It is very likely that GE should do fine for a long-term holder with a 20 – 30 year horizon. Depending on the availability of ideas at the time of capital availability, I would consider GE for potential inclusion to my dividend portfolio. Of course, if I find a company that has grown dividends for ten years in a row, yields around 3%, sells for less than 17 times earnings, and can grow dividends by 6 – 7%/year for the next five years, chances are I might choose the other company instead. - General Electric (GE) raises dividends again –should you care? With the end of 2013, many dividend investors are reviewing the year that passed, and are updating their 2014 goals. As I am reviewing results from my portfolio, I am trying to understand if I am on track to reach my goals. The three inputs that will help me achieve my goals are organic dividends growth, reinvestment yield and new capital to invest. In my book, organic dividend growth is merely a result of corporations approving increases in distributions to shareholders. I strive for a 6% in annual dividend growth on average. Since I am in the accumulation phase of my dividend investing journey I am also reinvesting dividends into more income producing securities. I believe that if my portfolio keeps growing distributions by 6 – 7% per year, and I reinvest this cashflow back into more dividend paying stocks yielding 3- 4% today, I can essentially grow total dividend income by approximately 10% per year. This of course assumes that I no longer put any new capital to work in dividend paying stocks. The biggest change I implemented in 2013 was to reduce the amount of contributions to my taxable accounts to the minimum. This was because I am starting to max out tax-deferred accounts such as 401 (k), Sep IRA and Roth IRA, in order to cut down on taxes today, and create a vehicle where I would generate dividend income that won’t be taxed for at least 30 – 40 years. When you put money in taxable accounts, you can withdraw dividends from one account and easily pool them into another account. Unfortunately, with tax-deferred accounts, the money generated in one account has to stay there. I am doing this, because my largest expense in my budget is taxes. This includes Federal, State and FICA taxes. My taxable accounts would likely generate a sufficient stream of income to reach my dividend crossover point within five years. This would be as a result of organic dividend growth, dividend reinvestment and fresh additions of investable funds. I do believe that I need to be generating more in dividends than what my regular monthly expenses are, just to be on the safe side. Because I would be earning more than what my typical monthly expenses would be, I would be paying taxes on the buffer income I won't be using. Therefore, I have added the assets that would generate this dividend income buffer in tax-deferred accounts. I would have to jump through hoops in order to access these funds, which is why I would only tap them in the case of extreme circumstances. There is a high likelihood that these funds would not need to be used ever, but could provide a potential buffer in case I am wrong in my calculations. Plus, the money would compound tax-free for decades, before the tax person gets their share, if I do not need to use them. The table shows percentage of monthly expenses that are covered by dividend income at year end. I have simply compounded the percentage of expenses covered by dividends by 10%/annum. It looks like I am on track right now to accomplish my goals. I prefer to discuss goals in terms of the longer-term goal, rather simply focus on isolated annual goals. I think that for 2014 I would strive for approximately 70% in dividend income coverage, but this is meaningless without understanding how this goal fits in the grand scheme of things. The percentages in the table do not include dividends generated in tax-deferred accounts. I expect that most of my future contributions will be in tax-deferred accounts, which would hold the excess dividend income, that would be part of my safety net. Some portions of income will make their way to taxable accounts, which might increase the percentage of expenses covered by dividends. However, in order to be conservative in my assumptions, I am not going to change these estimates in the table above. I am also not putting down exact dollar figures, because reasonable expenditures vary from individual to individual. For example, for a single individual living in the Midwest that owns their residence, they can probably get by on say $1,500/month. However, if you are a married couple that lives in New York City or San Francisco, you would likely need at least $4,000 - $5,000/month merely to get by. The goal of this article is not to debate whether a certain dollar figure is reasonable or not, but to discuss my thought process in getting to a reasonable goal within a reasonable time. After all, these are my numbers, and they make sense for me - your numbers are going to be much different. Therefore, in order to get to a place, you need to determine what your goal is. Write it down, and then try to determine how to get to that goal. I figured out early that I would achieve my goal with my diversified portfolio of dividend growth stocks, which are companies that regularly boost distributions for shareholders. I then determined the monthly amount I plan to invest each month, and also determined reasonable assumptions about returns. Based on these assumptions, I then figured out the amount of time I would need in order to get there. It is also important to have a plan B and even plan C in action, in case your assumptions don’t turn out as expected. The value of a job income cannot be overlooked. For example, a source of $100 in monthly income is equivalent to $30,000 - $40,000 invested at 3%- 4%. This should be something you enjoy however, and are passionate about. So if you enjoy doing taxes and learning how much others make – you might be a tax preparer between January and April every year. It is up to you to figure out what you can do. However, I am not going to tell how to spend your time in retirement, so I am going to end the discussion here. One obstacle to my plans could include situations where I lose my primary job, and am unable to find another one after that. This could damage my ability to make future contributions, and would also prevent me from reinvesting distributions, as I would be using them for my day to day expenses. Another obstacle that could prevent me from achieving my goals include situations where I can find fewer securities that fit my entry criteria. After a relentless increase in 2013, it is getting to a point where quality dividend companies are tougher to find. I do not envy the dividend investor who is just about to start putting their hard earned money to work today. McDonalds Corporation (MCD) franchises and operates McDonald's restaurants in the United States, Europe, the Asia/Pacific, the Middle East, Africa, Canada, and Latin America. This dividend champion has increased dividends for 38 years in a row. Over the past five years, it has managed to raise them at a rate of 13.90%/year. Currently, the stock trades at a P/E of 17.30 and yields 3.40%. Check my analysis of McDonald's for more information. Philip Morris International Inc. (PM), through its subsidiaries, manufactures and sells cigarettes and other tobacco products. This dividend machine has increased dividends for 5 years in a row. Over the past five years, it has managed to increase quarterly dividends by 15.40%/year. Currently, the stock trades at a P/E of 15.70 and yields 4.60%. Check my analysis of Philip Morris International for more information. Chevron Corporation (CVX), through its subsidiaries, engages in petroleum, chemicals, mining, power generation, and energy operations worldwide. This dividend champion has increased dividends for 26 years in a row. Over the past five years, it has managed to raise them at a rate of 9%/year. Currently, the stock trades at a P/E of 9.90 and yields 3.30%. Check my analysis of Chevron for more information. Target Corporation (TGT) operates general merchandise stores in the United States. This dividend champion has increased dividends for 46 years in a row. Over the past five years, it has managed to raise them at a rate of 21.40%/year. Currently, the stock trades at a P/E of 16.70 and yields 2.70%. Check my analysis of Target for more information. Wal-Mart Stores, Inc. (WMT) operates retail stores in various formats worldwide.This dividend champion has increased dividends for 39 years in a row. Over the past five years, it has managed to raise them at a rate of 14.20%/year. Currently, the stock trades at a P/E of 15 and yields 2.40%. Check my analysis of Wal-Mart for more information.